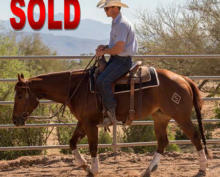 The Double Horn Ranch produces top quality, highly versatile ranch horses. 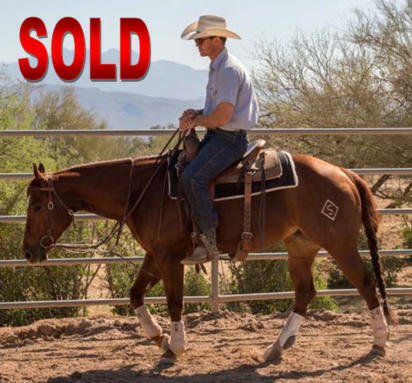 We offer a limited number of these horses for sale each year. Our entire program is based on developing horses that are safe, responsive and dependable. 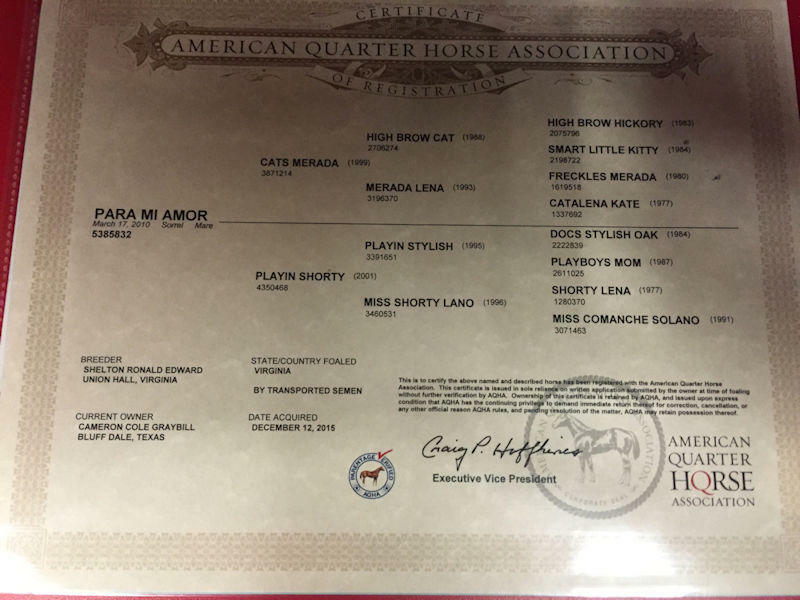 To learn more about these exceptionally well-trained horses, give us a call at 254.728.3082 or email us now. Price: $9,000 Yoshi is a 2012 bay dun gelding with tiger stripes on his legs. He is well built and stands 14.1 hands. Yoshi is an athletic, smooth traveling, sure-footed young horse. He has been exposed to cattle, roping and the Craig Cameron Challenge trails. He has good ground manners, trailer loads, hauls well, stands for the farrier, stands tied, and blankets well. He is a soft and willing riding partner, but does need an intermediate to experienced rider. Cole has hauled this horse frequently and Yoshi is one of his personal favorites for clinics and expos. He has the potential and build to be a solid Heeling prospect, or a good riding pasture/ranch horse. Yoshi has a natural sliding stop and has been started on flying lead changes. He is very brave and crosses water and obstacles without hesitation. He could potentially be one of Cole’s Pro EXCA horses, or would be a good fit for somebody in the intermediate or Non Pro classes. Gus is a 2009 sorrel gelding who would be best suited for an intermediate to experienced rider. He is Craig’s personal favorite horse and most reliable mount that has mastered the more difficult Challenge Trails and Obstacles and is used to start colts and move cattle during daily ranch work. He stands at 14.3hh and weighs 1100 pounds. Contact us to learn more about this responsive and athletic gelding. Jo is a 2012 bay gelding born on the 6666 ranch. We started him under saddle here in our Ride Smart program and have exposed him to cattle and trail riding. He quietly handles all the obstacles we have on the ranch. At 15.3hh Jo has the size to carry a larger man and the disposition to help green riders gain confidence. Jo’s famously smooth jog will carry you comfortably for miles on end! Price: $9,000 Yoshi is a 2012 bay dun gelding with tiger stripes on his legs. He is well built and stands 14.1 hands. Yoshi is an athletic, smooth traveling, sure-footed young horse. He has been exposed to cattle, roping and the Craig Cameron Challenge trails. He has good ground manners, trailer loads, hauls well, stands for the farrier, stands tied, and blankets well. He is a soft and willing riding partner, but does need an intermediate to experienced rider. Cole has hauled this horse frequently and Yoshi is one of his personal favorites for clinics and expos. He has the potential and build to be a solid Heeling prospect, or a good riding pasture/ranch horse.